It’s a great week of college football and it somehow landed on the last week for May. Yup, it helps when some num-nut from the Big 10 runs his mouth. 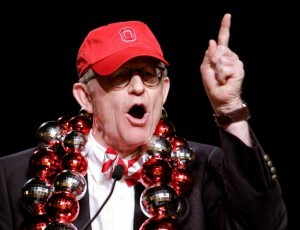 This time (again) it’s Gordon Gee, president of Ohio State, who comes in lips a blazin’. I’ll talk about that as well as the Big 12, Texas, DeLoss Dodds, West Virginia, TCU, SEC, Notre Dame, Penn State, Paterno Family, and College Football Playoffs.